A blogger who goes by “empressjuju” thinks she and her husband spend too much on restaurants. “Every month we find ourselves rushed, or tired, or invited out with friends and there goes the budget,” she wrote in a post on her website, (the) Vegas in Austin. But naturally, when your only tool is plastic, all your problems start to look chargeable. Which brings me back to empressjuju's plaint: How many of us are eating, drinking, watching, wearing or listening to our future goals? It doesn't have to be a house. Maybe you dream of retiring early, starting a business, staying home with a child, paying off student loans or even just paying cash for your next car. Some people can't meet their goals because they simply don't earn enough. That's a whole different story. However, plenty of people are broke because they don't manage their money. 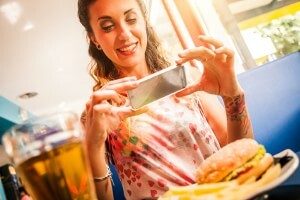 Ever listened to a friend bemoan her paycheck-to-paycheck status while using an iPhone to Instagram her entrée? Ever sat courtside with a pal who sighs that his truck payment and CrossFit costs are so hard to meet? Maybe you are somewhere in the middle between entry-level salary and paycheck-equals-toys mode. Track your spending for a while and take an honest look at the results. If careless spending is torpedoing your goals, the following workarounds just might help. Food is often the budget item with the most wiggle room, especially when it comes to meals out. According to the USDA, 43.1 percent of our food dollars are actually spent on items consumed away from home. But you don't have to quit eating out altogether. Trying this might be just as counterproductive as trying to quit any other habit in an all-or-nothing fashion. Instead, scale back gradually. Start with dishes that are simple to prepare. Look for recipes to create your favorite restaurant dishes at home. Not much kitchen experience? Blogs like Budget Bytes and CheapHealthyGood will hand-hold you through the process. Double the recipes so you will have leftovers for lunch. Tote meals twice a week for a while, then inch your way up. Aim for five, but don't beat yourself up if you miss the mark. Possible workarounds: Batch-cooking. Slow-cookers. Coupons, social media vouchers and other specials for reasonably priced meals out. “Speed scratch,” e.g., fixing a salad and rice to go with a Costco rotisserie chicken. Not everyone wants to do that. But instead of buying expensive craft beers at a brewpub, why not drink at home some (or most) of the time? Find a pal with a similar palate and split a six-pack, enjoyed with a batch of chili or some inexpensive snacks. More of an oenophile? Try inexpensive wines from around the world. Check wine websites, talk to the folks who sell the stuff, watch for social media vouchers involving regional vineyards. Possible workarounds: Host a BYOB wine-tasting. Beer, wine and hootch does go on sale, so watch for your favorites. Join Costco or Sam's Club where beverages of all varieties are cheaper. Cheaply made clothes means more frequent replacements. Look for apparel that evinces craftsmanship rather than churn. Consignment shops, thrift stores and rummage/yard sales can be great places to find good-quality duds. Ever shop out of boredom, or just to be with friends, or because you are insecure about your appearance? Address those habits, pronto. Perhaps your profession puts a premium on tasteful dressing. A few nice suits — for men or women — create a professional and affordable vibe. A new shirt and tie/scarf now and then keeps your look fresh. Possible workarounds: Clothing swaps. Flash sales. The clearance section of your favorite clothiers, either on- or off-line. Plenty of people have cut the cable in favor of alternatives like Netflix and Hulu. Consider joining them. Regarding new movies: Are you at the theater after work on Friday rather than hitting weekend matinees or pay-one-price day? Do you go see stuff you know is probably junk or buy a ton of refreshments? Do you buy DVDs by the handful, watch them once or twice and then shelve them with other titles you just had to have (but have since forgotten)? Sporting and cultural events can also vacuum dollars from your wallet, especially if you buy expensive seats and season tickets/subscriptions. Personally, I care nothing for sports, but I do support the arts. However, I always look for ways to reduce the tab. And I'd like to add “play it” to Mary Hunt's eat-it-drink-it-etc. list, since some people buy new video and/or board games like candy bars. How many titles can you reasonably expect to use? Entertainment is important, but so is that future house (or whatever). Prioritize, people. Possible workarounds: Movies from the library. Redbox rentals (search for “free Redbox code” first). Split DVD or game purchases with a friend, then trade them in. Pay for movie tickets, DVDs and games with discounted gift cards. If you must have popcorn, join the theater rewards program. The average person spends between $45 and $68 a year on music downloads. Others pay upwards of $120 a year for on-demand subscription radio services. Maybe you are passionately devoted to certain artists. (For now, anyway.) But give your music collection a reality check: How often do you really listen? Was it worth the combined outlay? Concerts can cost a bomb; but even if it is a band about which you feel meh-emotion, there is just something about a live performance (and concert T-shirts, too). On the other hand, you could pick your spots and attend only shows you know you will regret having missed. Possible workarounds: Listen to regular radio. Download singles instead of buying CDs. Get discounted iTunes gift cards (see discounted gift cards link above). When asked what you want for birthdays/Christmas, mention concert tickets or gift cards. To be clear, I am not saying you can never have fun. I'm just suggesting that you think beyond that day's desires and pick your spots. You might be able to have it all, but you probably won't have it all at once. And if spending without thinking is your M.O., then you probably won't ever have much that's lasting anyway. Reaching goals is an everyday kind of thing, isn't it? Share your workarounds and stories in the comments below! There are 28 reader responses to "We’re eating our house!". We stopped eating out altogether last year and were thrilled with how much we’re now able to save (71% last year). In addition to dropping the restaurant habit, we realized we could spend far less on groceries. Bringing that consciousness to our eating, and not just assuming it’s a fixed cost, made a huge difference to our bottom line. I think it’s easy to consider food a “necessity,” but, not all foods are and, there’s usually a cheaper way to eat delicious and healthy meals. Interestingly, our diet is even healthier now that we’re spending less. Why? We’re focused on extracting maximum nutrition from the foods that we buy. For just about every other category of our budget, we follow the general principles of only buying what we truly need (toilet paper, dog food, etc) or we buy used (in the case of clothes, furniture, cars, etc). This works well for us because, for example, it’s hard to buy “used” cable and we certainly can’t argue it’s a “need,” so, we’ve never had it! How many hours did you have to work to earn the ingredients? How much energy, fertilizer, pesticide and water did it take to produce and/or preserve the food? When “old” food winds up in the trash, those resources go away as well. Thanks for these links–I’ll have to check them out! We never waste food either. I can’t imagine throwing stuff out that we’ve already purchased and prepared! Thank you so much for this post, and for the shout-out! Reaching goals really IS an every day sort of thing… since I wrote that post, Mr. Vega and I discovered that breaking our monthly food budget into weekly increments has helped tremendously: tightening our belts for a couple of days at the end of a spendy week is much easier than trying to live on beans and rice for a couple of weeks at the end of a month that started out too extravagantly! We are also each members of sports teams sponsored by local bars. I volunteer in mine, and so I drink for free after our weekly games, and his league is so large that his membership gets him a year-round 25% discount at their sponsor bar. We’re both clothing minimalists who buy classic, high-quality clothes on sale a couple of times a year, and wear those clothes for ages. And a couple of months ago, I traded some airline miles for department store gift cards, so we could splurge a little for free! My husband works for a cable company, so our internet and cable service are part of his compensation package, but before he had this job, we were happy with a Netflix subscription and the occasional library DVD card. During the summer, Austin has ample options for free, outdoor film screenings in the parks, so our viewing isn’t limited to the small screen. Live music is plentiful and free in Austin, and these days, we have dinner at home before we go, so that we can afford to have a pint of whatever beer is on special while we enjoy the show, and to tip the musicians afterward. Keeping a careful watch on our expenses has proven worth it: we’re nearly at our goal of saving a 20% down payment for a modest house, and in the next few weeks, we’ll be starting to secure our financing (for a 15-year fixed-rate mortage, with payments no more than a quarter of our monthly income, of course!). And that’s going to feel much better than any restauant meal tastes! Yeah, eating out is a real pain in the budget. We’ve been trying to reduce ours, but we only have one (paid off) car at the moment, and the hubs works in the middle of my shift, so if I forget to bring a lunch to work I have to either order delivery or bum a ride with a coworker who’s eating out. It’s amazing to see how many office workers eat out every single day, though, compared to my once or twice per week. I have to assume that it’s in their budget to do so. Still – with lunches being $10 at the places they like, and tips expected, eating out daily would cost me $80/week vs $20 if I bring my own lunch! Regarding music, don’t forget the free websites that let you listen to whatever you want for the price of a few ads that play less often than the radio. Pandora and Spotify being the big ones. Yeah, you can purchase a subscription with them, but they aren’t necessary and they go on sale pretty often when they’re trying to drive subscriptions, like around the holidays. Whenever I think about eating out or doing something fancy I always look at the opportunity cost. One on my goals is to pay my mortgage off quickly so I don’t waste money on interest. I know that every meal out costs about Â£50, if I were to pay Â£50 towards my mortgage I would be mortgage free 2 days earlier. When I think about things in terms of opportunity cost managing money becomes much easier. I have no debts other than my house. I put my cards in the top drawer of my desk and only use them in case of an emergency. And honestly, who needs an emergency hamburger? Another thing I do is all of my own yard work. I made it “old lady” friendly by digging out bushes, getting rid of all non necessary stuff like trellises, ornamental statues etc. that the previous owners had put in. Now I only mow, water, and fertilize. I totally agree on eating out, except that as I am single, a dinner here and there with friends is a good part of my social life. There are things I can do when eating out to make it cheaper: never order a drink, dessert, or appetizer, take along a container to put half of the dinner in it, and go to a place where you do not have to tip, and remember that the company is the most important. I do not obsess about money, but I am careful how I spend it. Ditto. As I noted in another GRS article, “Why I voluntarily slashed my salary,” neither my partner nor I begrudges spending money on what we think is important. For him, that might be a piano tuning or a ticket to the opera. For me, a visit to my daughter — or a lunch out with my best friend. Being careful about spending means fewer stomachaches when it’s time to pay for something we need/want. Just fyi, many libraries will also circulate board games — see if yours does! Ha, I love that phrase – “we’re eating our house!” I can definitely sympathize. Food is one of the hardest budget line items for me to keep in check. As long as I’m focused on the budget, I can remember not to go out to lunch or buy random things at the store, but it’s the one thing I haven’t been able to turn to autopilot after 2 years of getting my financial house in order. Honestly, learning to love to cook is the only thing that is starting to push me in the right direction. I’ve been noticing in the past couple of months that I don’t like most meals at restaurants as much as I like the food my husband and I cook at home, and that the Chips Ahoy that have been my comfort food for years no longer really do it for me. My partner loves to cook; I’m sort-of-OK with cooking. Between the two of us there’s always something tasty (or at least interesting) to eat. I’d rather sit at our table in the early evening than stand in a restaurant foyer waiting to be seated. It’s restful, it’s quiet and it’s just the two of us. He says our food is wonderful because it’s “prepared and shared with love.” All I know is that I haven’t had a bad meal with him yet. Spending isn’t as fun as it used to be because now I’m like “well I could spend the $100 now but the law of 72 says it should double in 10 years, so I better put that in my Roth IRA or brokerage account.” Definitely not that glamorous but I definitely get a high out of saving now and not spending. 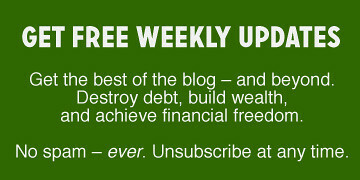 The goal of financial freedom seems well worth it! I take my highs where I can find them — especially if I’m not paying for them but rather PROFITING from them. I think this title could fit 90% of Americans under 50. When you eat out regularly, it doesn’t feel like splurging, rather just habit. I like it to feel special and like I’m treating myself, so we stick to cheap take-out places and only dine in 1-2 times/month. I detest cooking and I work long hours, so when I arrive home I want to spend time with my family not in the kitchen. But, my work around to reduce eating out costs is as follows. First, I buy more prepared food, yes its more expensive than cooking from scratch, but it still costs way less than eating out or ordering in. Second, my big meal is at lunch and when I get home I often have scrambled eggs or cereal or cheese and crackers and fruit for dinner. Third, I eat our for lunch with my colleagues once a week rather than multiple times a week. Ordering in my lunch is less expensive than eating out. Picking up my lunch is less expensive than eating out or ordering in, etc. Said another way, I reduce my food intake by trimming rather than abstaining. I’m similar. I cook my big meals for lunch for the week. And I eat it there at work as kind of an early supper. When I get home dinner is usually a fruit and greens smoothie or fresh mozzarella with tomatoes or grapes. At least that’s the binge I’ve been on for the last week. The weeks before dinner was a slice of mom-made cheesecake with decaf tea :) Really I just need something to nibble on before going to sleep because I go to bed early and I HATE sleeping on a full stomach. Sounds reasonable to me. Wasn’t it Adele Davis who said “Breakfast like a king, lunch like a prince, dine like a pauper”? I strongly recommend Tamar Adler’s book, “An Everlasting Meal: Cooking With Economy and Grace.” You will love the way she looks at meal prep. It has changed the way I cook. Seriously, great article. We have two kids and are good about staying in to eat (helps that we live in Seattle with a big sales tax and high food costs). I still feel like we could be doing much better with our grocery bills and I’m constantly working on that. @Jen: I completely know what you mean. My family and I live out in Utah, so the cost of living isn’t nearly as bad as it is in Seattle. However, we have 2 kids as well, and we constantly fall into that trap of buying “kids meals” that are grossly over-priced. I hate that! When one of my living expenses (propane for heating, hot water & cooking in particular) went through the roof four years ago, I went out and got a second job. That made for precious little time for TV so I had my service discontinued entirely. What few evenings & weekend days I don’t work get used for catching up with both indoor & outdoor maintenance, laundry, and the even fewer precious hours to myself are spent reading and walking my land, remembering how very fortunate I am to even have a job, much less two, when there are people out of work. Second cost-cutting thing was having my trash & recycling pickup service discontinued. I’m out in the boonies so this is not a municipally-provided service. I found that if I bag up my trash & recycling and bring them into town with me, I can pay $1 per bag for the trash (of which there’s very little) and dropping off recycling is free. At say 2 bags per week, that’s $52 per year instead of the $350 the pickup service cost me. I’m admittedly a health nut, so unless it’s for an extremely special occasion, I eat food prepared in either my own or my friends’ kitchens, and I have a lunch cooler you could fit a small car in. I can manage to eat nearly all organic because my diet doesn’t include the expense of meat, and when I make something to bring to work for a pot-luck, everyone crowds around my slow cooker or dish, eager to see what comfort food I’ve translated into healthy stuff they’d be willing to feed their families. Life is good! My husband and I were making over $150K and not able to save any money. Then the recession hit, and for a variety of reasons we had to do some belt tightening quickly. Eating out was the first thing to go. Fortunately both of us are good cooks. I consider cooking to be one of those essential life skills. I was shocked how much money we saved. The hardest part is that with 2 kids, it can get exhausting to cook all the time. There are times I wish we could just pick something up. My sister makes that bread every week — and she, too, says she can’t believe she used to pay so much for something that takes relatively little work. Check the workarounds in the “cooking” part of this article. Maybe one or more will work for you. Remember, too, that meals don’t always have to be three-part ordeals. It’s OK to have fresh bread, hard-boiled eggs and fruit for supper. Or pancakes. Or meatloaf sandwiches. Heck, I eat oatmeal or Cream of Wheat for lunch or supper when I don’t feel like cooking, and I haven’t died yet. Not once! Great points! I am totally guilty of eating and wearing my future away. I am definitely doing better than I was before, but I’m still not perfect by any means. This is a good reminder to keep it under control. As many, many other GRS articles have suggested: Track your spending. Numbers don’t lie, and seeing them in black and white (or as a pie chart, or a graph, or whatever) can help you rein it back in as needed. Good for you for taking charge already, though. I love the Budget Bytes blog! I also love finding out how to make my favorite restaurant or take out recipes at home. Today on my blog I posted how to make my favorite chicken wings recipe! It’s definitely a cheaper way to get my craving taken care of! I’m guilty of making excuses for eating out, mainly blaming the lack of time. The truth is that appropriately planning ahead can help for the entire week. Slow cookers and batch cooking certainly help. Like everyone else, my girlfriend and I tend to lean towards eating out rather than cooking meals at home. Here are a couple strategies we’ve employed with good success. 1) Slow cooker recipes that require very little prep. Especially good for lunches. 2) Having some easy default meals in our repertoire – e.g. chicken & chard, eggs & sausage – that we can make when we’re feeling lazy or unmotivated. Of course having these ingredients at hand is also important. 3) “Meal point” system, explained below. – We’re each allotted 2 meal points per week (we decided that 2 meals out each is reasonable, and keeping track of more than that becomes a lot harder). – Eating out for one meal, regardless of price, costs one meal point. – If someone else pays for our meal, it doesn’t count as a meal point. – If we eat out together and one of us pays the whole bill, it counts as one meal point each (to close that obvious loophole). – There are no built-in bonus or “freebie” meals, so even though it’s for your friend’s (or YOUR) birthday, it still costs a meal point – assuming you pay for your meal. – Unused meal points don’t roll over week to week, so it’s use ’em or lose ’em. This is to prevent us from accumulating enough meal points to eat out every day for a lengthy stretch, which we think might ultimately weaken our resolve to maintain the system. – There’s no enforcement mechanism or penalty for breaking the system, other than being accountable to each other. This works well for us because it’s the frequency of eating out, not the cost of each meal, that has a larger impact on our spending. I suspect that that’s true for a lot of people, and maybe this approach will help! This post hit home for me big time. Even though I don’t go out to eat more than once every few months, I spend too much on snack foods for my diet cheat day. Even bringing these costs down to an average of $8 per week means I’m spending $416 a year on caloric garbage, which is almost 70% of a month’s worth of rent. It’s hard to resist the urge to indulge, either out of a lack of willpower or outright gluttony, but there’s no doubt that the money could be put to better use elsewhere.